Skincare for your Wedding Day: Tips from Kathleen Walsh, M.D. Are you desperate to have radiant, glowing fresh skin for your wedding day? Maybe your skin already looks fabulous but you need a nice peel or just want to get pampered? Dr. Kathleen Welsh is going to be your new best friend. I’ve personally been seeing Dr. Welsh and Jane (one of her nurses that always looks flawless) for years now and I can honestly say they have changed my life. With the top of the line products for sale in the office and her online store www.weloveskinstore.com, the friendliest staff, high-end private offices, and endless tips, advice, and options to solve any skin problem – you can’t go wrong. There’s nothing better than feeling confident about the way you look, especially when all eyes are on you for your big day. Dr. Welsh will make sure you achieve your skin goals. 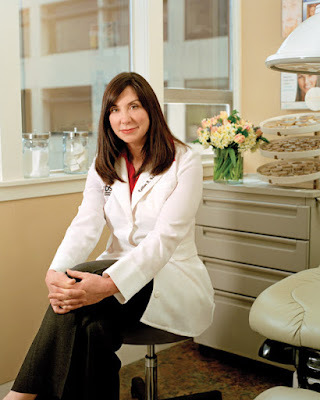 Dr. Welsh and her wonderful staff have been featured and interviewed in bridal magazines as well as Martha Stewart Weddings for her expertise in creating a long-term skin plan for her clients. Once you have your wedding date confirmed, schedule an appointment to come in and she will create a 6-12 month plan to get you looking like you’ve been photoshopped for your big day. With a wide variety of cosmetic procedures and skin products available these days, Dr. Welsh can offer anything from chemical peels, laser hair removal, fillers, and an amazing machine called the Zeltiq – an non-invasive procedure that gently and effectively removes fat from targeted areas of that body that have not responded to traditional diet and exercise. (It basically disintegrates the fat over a period of time). Patients can benefit from noticeable yet natural looking results in their problem areas, providing an overall smoother body contour. Also known as CoolSculpting, it is most effective in removing fat from the abdomen, love handles and back. *Latisse – I swear it works!!! 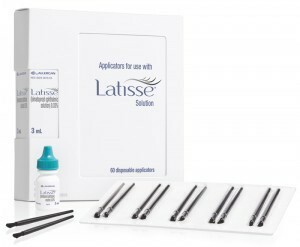 Latisse works by altering the growth phases of your lashes. First, it increases the length of the phase, and second, increases the number of hairs in the growth phase which creates the effect of longer, fuller and darker lashes. It’s a once a day treatment and within 4 weeks you’ll notice a huge difference. By week 12, it will look like you’re wearing falsies. This miracle cream (along with many other products in the line) is fantastic. It’s a gentle eye cream that reduces the appearance of dark circles and puffiness with caffeine, bisabolol, and sodium hyaluronate, in combination with the effective complex PSP. PSP (processed skin proteins) is a blend of essential nutrients such as growth factors, antioxidants and matrix proteins including collagen which revives skin, causing it to become softer, firmer, younger and healthier-looking. It is fragrance and colorant free. Apply it in the AM and before bed with your moisturizer. Their bio-restorative cream (meant for all over the face) is another amazing product designed to speed the recovery process of the skin after cosmetic procedures such as laser, microdermabrasion, and plastic surgery. It also calms and soothes the skin if you have irritated or sensitive skin. If that isn’t good enough already, it also works as an anti-aging product to smooth fine lines and wrinkes, and increase collagen and elastin levels of the skin. 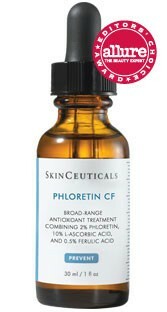 Phloretic CF represents a new class of preventive and corrective topical antioxidant treatment. We all know that we NEED to be wearing sunscreen daily, but right before you put your sunscreen on (at least a 30 SPF – skinceuticals makes a great one) apply a few drops of this miracle technology that protects not only free radicals, but the range of other reactive molecules known to cause damage and DNA mutations among the integral cell types. It also corrects existing damage by stimulating the synthesis of essential proteins and fibers and acellerating cell turnover. The result: a strengthened support structure on the inside and a more youthful, firm, radiant appearance on the outside. This product’s active ingredients include: phloretin, vitamin C and ferulic acid. A concoction of Hyrdoquinone and Ascorbic Acid (vitamic C) penetrates deep into the skin’s dermal layers where it enhances collagen production thereby reducing the appearance of fine lines and wrinkles. Hydroquinone decreases the formation of melanin in the skin (melanin is the brown pigment in the skin color) and gradually lightens darkened areas such as freckles, age spots, chloasma, and melasma. The results: radiant, luminescent skin. Liquid Smile is a paint on tooth whitener and stylish way to whiten your smile in just an hour. 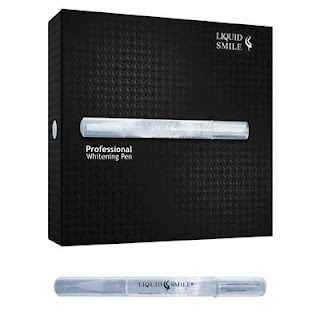 It is the first any only professional whitening pen, and affordable, as well. It takes less that one minute to apply and contains the most powerful dosage of hydrogen peroxide of any paint-on whitener. 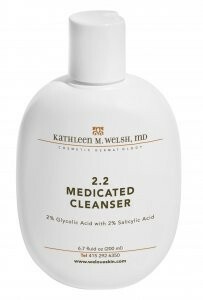 Formulated by Dr. Welsh herself, this popular cleanser saved my skin. Not only does it contain a beneficial dose of green tea to help protect skin cells from damage and premature aging, but it also contains 2% Glycolix Acid and 2% Salicylic Acid to fight acne and blemishes. Start off by using the product at night only 3 times a week (use CeraVe hydrating cleanser on the off days) and see your skin shed off the stress and damage. 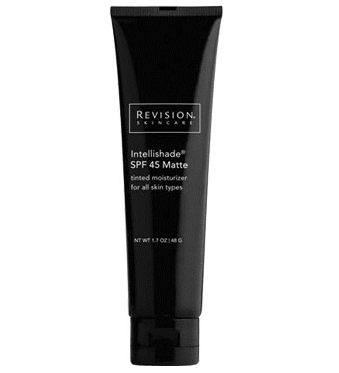 Essentially a three in one super moisturizer, this matte finish SPF conceals, corrects and protects. Wearing SPF is the number one rule of thumb to keeping your skin cancer free and looking great. Revision not only reduces the appearance of fine lines and wrinkles but gives your face a healthy glow and color with a matte tint to conceal redness and blemishes. It helps correct years of sun exposure with Palmitoyl Tripeptide-5 (improves skin elasticity and firmness by activating the skin’s own growth factors) and of course, protects with SPF 45 UVA and UVB broad spectrum coverage combined with an IPF (immune protection factor) for complete sun defense.